After three years of remaining flat, global carbon dioxide emissions rose in 2017, according to the International Energy Agency. Global carbon emissions went up in 2017 after staying flat for three years, complicating efforts to rein in climate change, the International Energy Agency reported Thursday. The world’s power plants, vehicles, and factories pumped out 32.5 billion metric tons of carbon dioxide last year, a 1.4 percent increase over 2016, according to IEA. The additional emissions were the equivalent of adding 170 million cars to the world’s roadways, with the bulk of it coming from developing Asian powers like India and China. “Last year’s growth came after three years of flat emissions and contrasts with the sharp reduction needed to meet the goals of the Paris agreement on climate change,” the IEA’s annual emissions report noted. 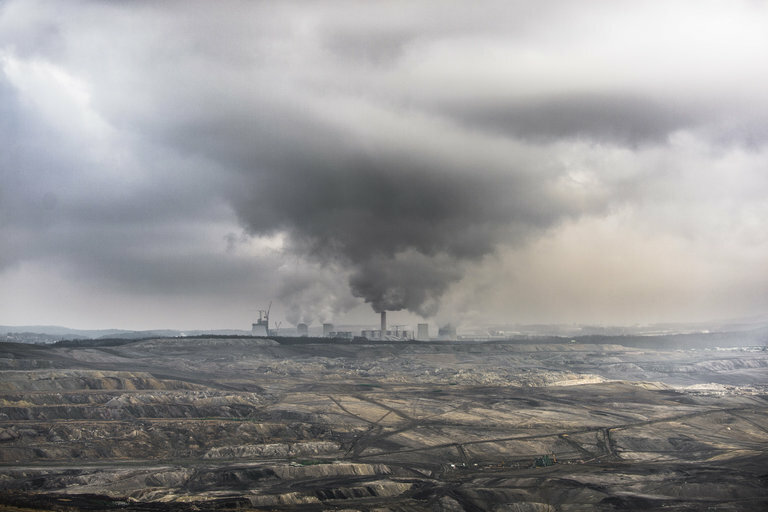 “The significant growth in global energy-related carbon dioxide emissions in 2017 tells us that current efforts to combat climate change are far from sufficient,” Fatih Birol, the IEA’s executive director, said in a statement accompanying the report. Nations pledged to cap or reduce their carbon output in the Paris climate accord, which took effect in 2016. The agreement is aimed at limiting climate change to 2 degrees Celsius (3.6 degrees Fahrenheit) — or 1.5°C if possible — over pre-industrial temperatures by 2100. But analysts say the pledges included in the pact aren’t likely to be enough to reach those targets. And the Trump administration, which came to power promising to revive the flagging coal industry and boost oil production, has announced that the United States will quit the deal. The World Meteorological Organization, an agency of the United Nations, reported Thursday that global average temperatures in 2017 were already better than halfway to those marks — 1.1°C over the pre-industrial average. The WMO says that fueled extreme weather events that were the worst on record, including the Atlantic hurricane season, severe drought in east Africa and monsoon floods in India. Last year’s emissions growth came as the world’s economy grew an estimated 3.7 percent, while fossil-fuel prices fell and efforts to improve efficiency faltered, the IEA said. While renewables like wind and solar “made impressive strides,” Birol said, most of the additional energy demand was met with fossil fuels — largely coal and natural gas. Demand for carbon-intensive coal grew 1 percent in 2017 after two years of decline, the report noted. But those increases were partially offset by the boom in renewable energy, which were the world’s fastest-growing energy sources. Emissions in the United States, Japan, Britain, and Mexico fell last year. The US decline of about half of 1 percent was the third straight year American CO2 output went down, according to the IEA. In previous years, that has been because utilities have replaced coal-fired generators with natural gas, which produces about half the emissions when burned — but in 2017, the boom in renewables and a drop in demand was behind the dip. Emissions in the United Kingdom dropped nearly 4 percent as the cradle of the Industrial Revolution moved further away from its historic reliance on coal and toward gas and renewables as well. But overall European Union emissions — the third-largest source, behind China and the United States — grew 1.5 percent.